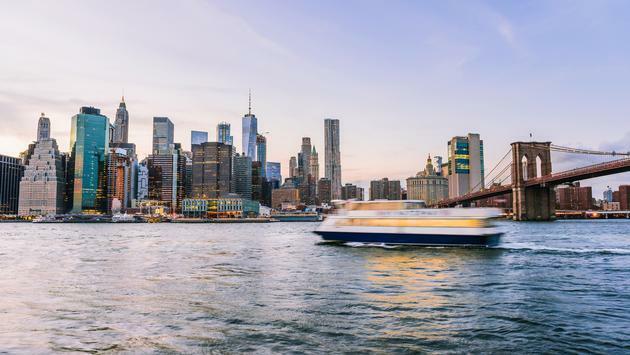 A boat trip is a great way to see New York City. You can get great deals for Circle Line Cruises by buying a New York CityPASS. A fabulous new airport terminal with an awesome Air Canada Lounge. Great winter deals on top attractions. A wonderful restaurant. And one of Manhattan’s most luxurious hotels. I recently spent a weekend exploring New York City, and came away with all sorts of news and travel bits. Here’s a look at some of the highlights. My wife and I flew into New York’s LaGuardia Airport in late January with Air Canada. We got off the plane and walked into the terminal. The new terminal at LaGuardia in New York City is a beauty. I’d known they’d been working on a new terminal at LGA for quite some time (I think plans surfaced during the 1940’s) but I didn’t expect they’d have it finished. It’s a glorious space; modern and airy and with all the fixings in a building that measures 1.3 million square feet. There’s even a Shake Shack outlet! On the way back to Toronto a few days later I was able to check out the new Air Canada Maple Leaf Lounge at LGA. It’s also a stunner. The old one was okay; but it didn’t have a lot of light and was a tad on the small side. 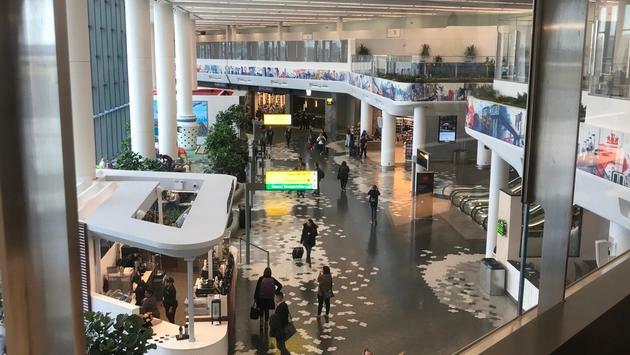 The new lounge is a truly glorious space on the second floor, with acres of room, comfortable chairs and sofas and huge panes of glass that allow you to look out on the shoppers and diners and passengers in the terminal below. 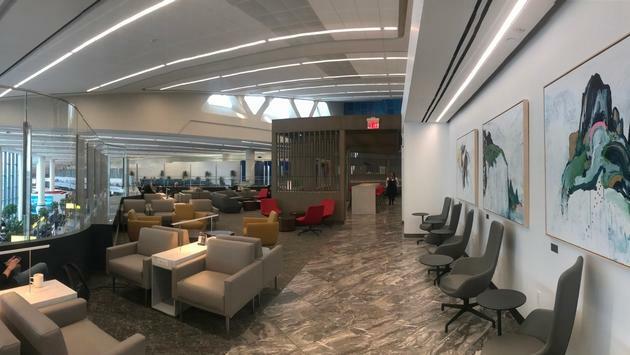 The brand new Maple Leaf Lounge at LaGuardia is a great addition for Air Canada. There are a series of small rooms that blend into the next, so there are plenty of places to find privacy or to hook up your laptop for a business session. I loved sitting at the curving bar area near the back, where you sit on stools and gaze out at the terminal and the runway. Tons of light, lots of electrical outlets for charging your devices, and a great sense of place. They had a nice array of salads, pizza, fruits and veggies and other snacks, along with an excellent bar (couldn’t resist some 12-year-old Scotch for a 4 p.m. flight home). It’s easily one of the nicest airport loungers I’ve seen, I’m lucky enough to have been to a few over the years. We were able to snag a free CityPASS for both my wife and I for our visit to New York. If you’re not familiar with these, a CityPASS is a wonderful coupon package you can get in cities around the world that provides great discounts for top attractions. The New York pass costs $126 USD for adults and gets you entrance to six great attractions; The Empire State Building, The American Museum of Natural History, The Metropolitan Museum of Art, The Top of the Rock Observatory OR The Guggenheim Museum, Ferry Access to the Statue of Liberty and Ellis Island OR The Circle Line Sightseeing Cruises (I did that last year and loved it), and then either The 9-11 Memorial Museum OR the Intrepid Sea, Air and Space Museum. A CityPASS booklet gets you great deals to top attractions in New York City, including The Empire State Building. My wife used her pass to take in the Metropolitan Museum of Art, which she loves and where I visited a year or two ago. 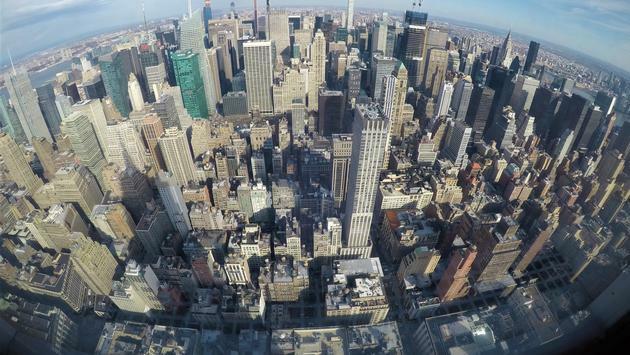 We had toured the Top of the Rock on our last visit, so this we used our CityPASS to check out the views on a fine day at the Empire State Building. For my money, it’s way better in winter than summer if you get the right day. 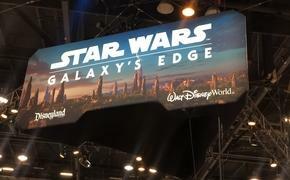 There were hardly any crowds when we were there, and the lineup to get in was maybe 30 seconds. If you use all six passes, you’ll save a sizeable 42% on your trip to New York. If you intend to see most of the main attractions, it’s well worth it. You also can get a CityPASS in other great destinations around North America, including Toronto, Orlando, Chicago and San Francisco. One of the great things about New York in winter is you get great deals. CityPASS is available all year-long, but New York also has great a winter package going until Feb. 10. Called NYC Winter Outing, it’s a program that combines three well-known winter discount programs into one giant package of savings. Winter Outing, which began Jan. 21, includes discounted meals with New York City Restaurant Week, plus two-for-one Broadway tickets with NYC Broadway Week, and then two-for-one tickets with New York City Must-See Week, which includes 59 different New York attractions. 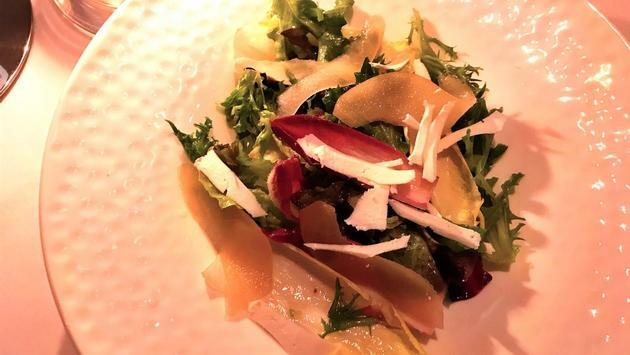 A wonderful winter salad at Charlie Palmer's Aureole in mid-town Manhattan. We took advantage of NYC Restaurant Week, which offers two-course, fixed price lunches at top restaurants (368 of them!) for $26 and three-course, fixed price dinners for $42. There were hundreds of choices, so I settled on Aureole, run by famous New York chef Charlie Palmer. We didn’t get any kind of discounted media rate and nobody knew I was a travel writer, but we were treated like royalty. The service was quick, personable and attentive and the restaurant beautiful. And we had a great bottle of California wine to go with a tremendous meal. The endive and pickled pear salad was outstanding, and the butternut squash velouté came with toasted pepitas and was poured at the table. If it had been a little hotter it would’ve been truly amazing, but it was still very good. The Cabernet Sauvignon-braised short rib portion was huge and melt-in-your-mouth tasty, and they had some wonderful, inventive desserts; including a terrific Amaretto carrot cake with carrot shavings, maple caramel and cream cheese ice cream; a first for me. But hopefully not a last. 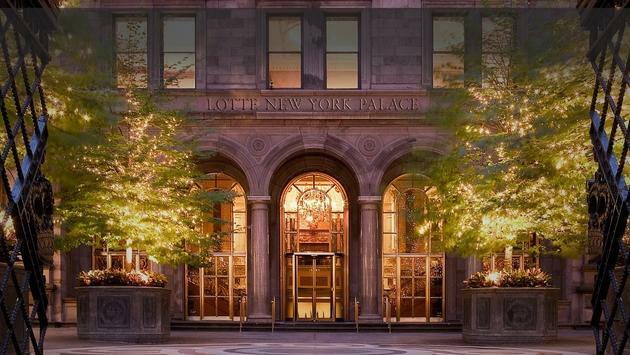 We were lucky enough to stay two nights at the Lotte New York Palace for the first part of our New York City visit. It’s an insanely beautiful hotel with marble staircases, big windows, a gorgeous courtyard across the street from St. Patrick’s Cathedral and so much more. We had a massive room in The Towers Wing that probably measured close to 500 square feet, with a huge, comfortable desk, a view of the East River, a marvellous bathroom and a walk-in closet that could fit the starting lineup of the Toronto Raptors, and possibly their luggage. The hotel is part of the Lotte group, which is based in South Korea and has fine properties in Korea, the USA (New York City and Guam), Russia, Japan and other countries. All rooms have a 42 inch, flat-screen TV, Molton Brown bath products, free daily newspapers, plush bathrobes, free shoe shine and valet pressing, 24-hour room service and more.